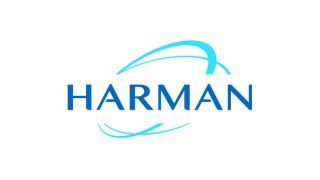 Harman Professional Solutions, manufacturer of professional audio, video, lighting, and control systems, which was acquired by Samsung in 2016, announced it has been in the process of a consolidation. As the consolidation has been unfolding, some employees have already relocated within Harman Pro to locations such as the AMX by Harman headquarters in Richardson, TX. Other positions will result in a layoff. “The changes we announced yesterday will impact 650 positions in the U.S. and Europe and will result in several facility closures over the next nine months to a year, including Elkhart, Indiana, South Jordan, Utah and a few smaller offices throughout Europe that came to Harman through a number of acquisitions over the last 10 years,” he said. Previous to Harman’s acquisition of AMX, several strategic acquisitions were made by AMX including Washington-based AutoPatch. Between 2006 and 2008 more than five acquisitions were made in the U.S. and Europe. In addition, “we also will ensure that the process is completely seamless for our customers,” he said.“We are very excited about the future of Harman Professional Solutions and believe that, with these changes, we are now aligned and structured to serve our customers better and to return to stronger profitable growth,” concluded Glaubke.